How Odd. 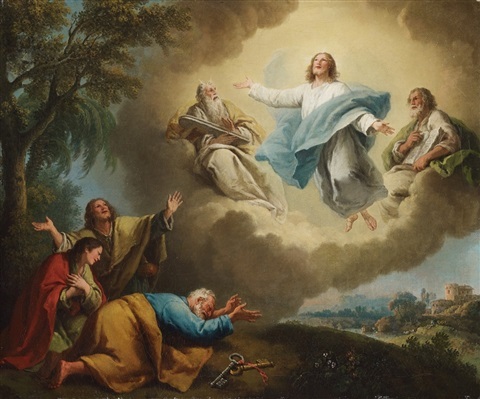 The Miracles of Elijah and Jesus are Amazingly Similar to the Miracles of Moses. Coincidence? And what about Jesus and Moses? Woodward gives hints he will address the similarities between Jesus’ miracles and those of Moses in a future chapter, but for now, can any of my readers see any similarities between the Moses Story and the Jesus Story? Well, how about this: Both must hide or be hidden from an evil king who wishes to kill them. Moses flees from Egypt to escape the evil king, while Jesus flees to Egypt to escape the evil king. And get this: Both Moses and Elijah go to a mountain to see/hear God (each experiences a theophany), whereas in the Jesus story, Jesus goes to a mountain (the Mountain of The Transfiguration) where he hears God (a theophany) declare him to be His son. And, guess who is there with Jesus on the mountain ? The voice of God, in a burning bush, on a mountain, declaring Moses to be the savior of his people! The voice of God, in a cloud, on a mountain, declaring Jesus to be his Son, the savior of his people (the messiah), and ultimately, the savior of the entire world! Most scholars today believe that Moses was a mythical nationalist folk legend. So if both the Elijah Story and the Jesus Story are patterned after the (fictional) Moses Story, what does that tell you about the historical reliability of both the Old Testament and the Gospels??? It is all a tall tale, friends. Next postHow do you Sell Jesus as the New Moses: Miracle Stories!